Friday Quote: "Would a Washington state coal port mean a damn thing to the environment?" People who back the idea of a coal port in Whatcom County have added a sophisticated new argument to their arsenal: They're not just saying "jobs." And they're not just saying, "If we don't ship coal to China, someone else will." They're also saying, "If the Chinese don't burn our coal, they'll burn something worse." 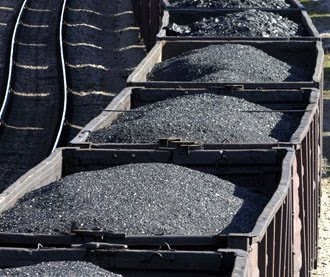 Ken Oplinger, president/CEO of the Bellingham/Whatcom Chamber of Commerce & Industry, and Chris Johnson, vice president of the Northwest Washington Central Labor Council, argued recently in The Seattle Times: "Stopping the terminal will not stop China from using coal; the world has plenty. It will only stop China from using our cleaner coal, which has less mercury, sulfur and nitrogen oxides. Opponents say the coal China uses affects our air quality. So if they use our coal, our air will actually be cleaner."